Quadratec's exclusive LED light kit that combines the industry-leading power of 10W American made Cree LEDs into compact housings. With such an efficient low current draw, our kits are designed to use the existing factory fog lamp harness and control. These truly plug-n-play kits provide a quick and easy installation of auxiliary off road lighting with no additional wiring, cutting or spicing. 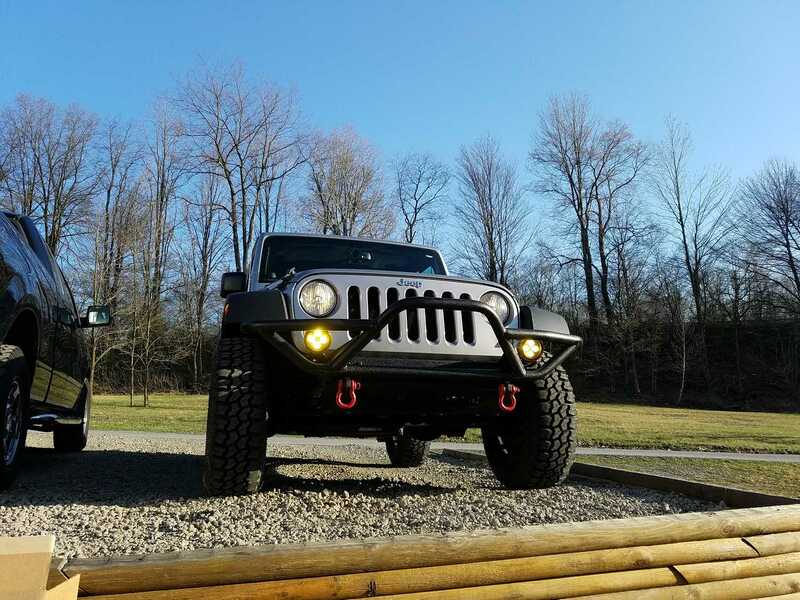 Our kits include one pair of auxiliary off road lamps and custom plug-n-play harnesses that plug directly into your existing factory fog lamp harness. Each lamp includes a 24 long extension with industry-standard Deutsch-style and Mopar compatible connectors to allow for lamp relocation. Each LED exhibits super bright white 6000°K output thats close to natural sunshine. 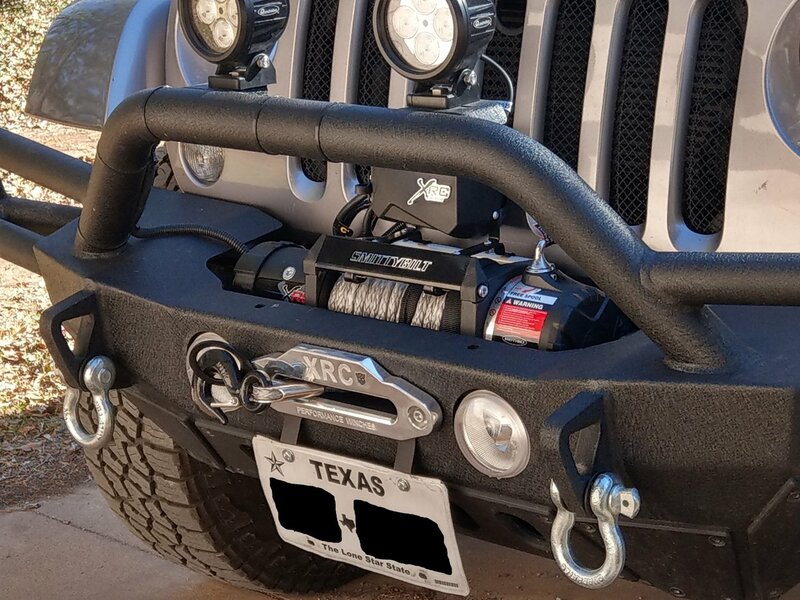 The durable, powder-coated aluminum housings are built to endure aggressive off-road use and feature stainless steel hardware and mounting posts. Available with choice of 10°driving beam or 30° flood beam patterns. The 10° narrow beam is best suited for driving at higher speeds that require longer projection with less peripheral lighting. The 30° flood beam pattern provides more peripheral lighting and is well suited as a multi-purpose light and for off road trail riding at lower speeds. Includes Quadratecs 3 Year Limited Warranty. Lamps are not legal for use on public roadways and are intended only for off-road use. This was so simple I almost felt guilty. Just remember that you are abandoning your FOG lights and replacing them with Off Road lights that are extremely bright and NOT street legal. I never used fogs anyway - now I have off-road auxiliary lights that are truly plug and play. Using the factory wiring only works because these LEDs draw so little amps. Don’t try rig this with 8” HIDs or you”ll torch your Jeeps entire lighting harness! The quality of the Quadtratec 4” round LEDs is obvious right out of the box. A great purchase. Best bang for the buck. These replaced a set of cheap ProComp lights on the A pillar. I have the fogs and another set on the front. they are bright as daylight, excellent quality and value. Don't forget the clear or amber(fog) covers for these. What gauge wire is used on the lamps themselves?